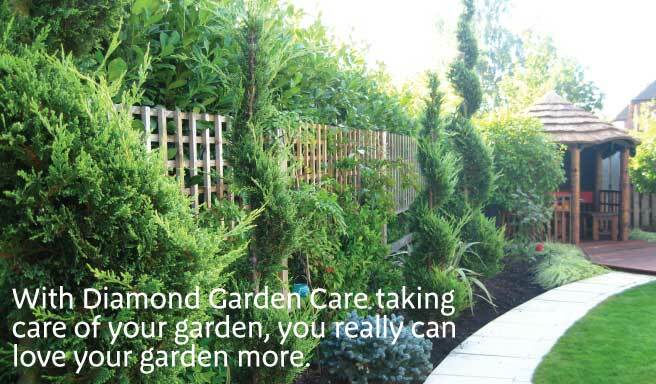 Whether you're looking for someone to mow your lawn every week or need help to keep your borders looking colourful, interesting and tidy all year round, Diamond Garden Care has the necessary skills to maintain and nurture your garden. We take a friendly and professional approach to everything we do, and our service is based on trust and reliability - we believe that these qualities make all the difference and are the reason why so much of our business comes through personal recommendation. Contact us to request a visit and a free no obligation quote - we'd love to meet you! Fed up with your existing garden? How about getting us to design and build you a new one!